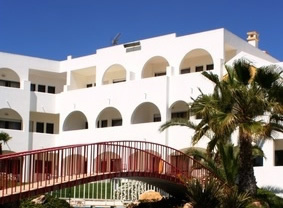 Situated on the south west coast of Kos, Kefalos is a purpose-built resort with a chilled out and relaxed atmosphere. It is surrounded by spectacular scenery and sits beneath the old town of Kefalos, from which it takes its name. The resort has plenty of good restaurants and a couple of small nightclubs, but is mainly geared for visitors that are looking to re-charge their batteries with a quiet beach holiday. The beach in Kefalos is a mix of sand and shingle and is ideal for lazy days in the sun. The sea is crystal clear and warm, making it well suited for all the water sports that you find here. Kefalos has the usual souvenir shops and supermarkets, but does not have large shopping facilities. However, for those wishing to do some major shopping you can head to Kardamena or Kos Town, both of these resorts have a wide range of shopping facilities, all offering very different goods, including some local specialties of hand crafted jewellery and ceramics. Kefalos is not as lively or as well known for its nightlife as other Greek resorts, but does have its own style of nightlife. It has a number of bars and clubs to suit everyone. Most of which are children friendly, therefore making it a good option for a family holiday. Most bars offer entertainment and food. There are several good restaurants serving both Greek and international cuisine. Interesting boat tours are available that take you around the coast of Kos or further afield with some tours heading into the volcanic island of Nisvros or even to the island of Rhodes; however the journey does take approximately 3 hours.